Far West Local Health District is proud to be represented by Ms Jodie Miller, Senior Clinician JIRT (Joint Investigation Response Team), at the NSW Leadership Academy. The Leadership Academy, an initiative of the NSW Public Service Commission, supports selected representatives from all state government departments to develop leadership capabilities and prepare for senior roles in the NSW Public Service. The NSW public sector employs more than 328,000 people, so the selection process is very competitive. As one of only 18 participants, Jodie will receive individualised coaching, attend workshops and have the opportunity to deal with real workplace issues supported by skilled and experienced management experts. 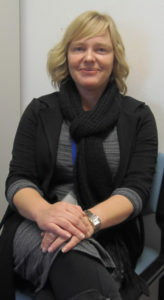 Ms Miller said she hoped to gain significant growth professionally and personally by participating in the Academy. The Far West LHD has identified the need to for succession planning and developing its current and future leadership capabilities by offering many opportunities to staff. This is only one program of many that will give the Far West LHD strong leaders that are driven to deliver better results to customer and community needs. The PSC’s Leadership Development Courses are designed to support the NSW Government’s priorities to build capability and capacity in senior executive positions. The development programs are specifically designed to provide opportunities for executives to broaden their professional experiences, hone existing leadership capability and close identified capability gaps. Entry to all Leadership Academy programs (except the Leading the Sector program) is by nomination and selection in line with each Department’s internal processes. Its programs are designed to create strength for the sector at each key level of leadership targeting high-potential leaders who are ready to transition to higher roles. Each program aims for skills and capabilities required at the next level of leadership, rather than developing those required to fulfil an individual’s current role.